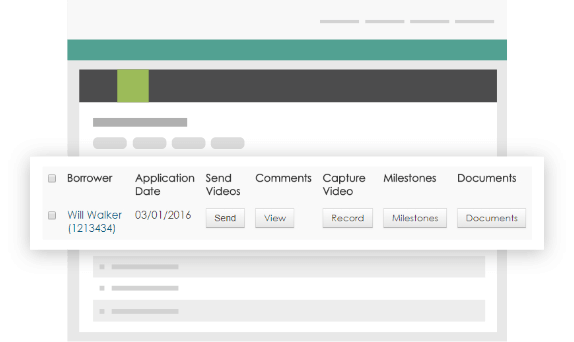 Gremlin Social has partnered with VidVerify - the industry's leading video communication platform for mortgage lenders. Mortgage rules and regulations increasingly hold lenders accountable. Although you can’t eliminate the liability, you can reduce your exposure to borrower misinterpretation, deliver clear, consistent messaging throughout your company and be prepared with specifics for your auditors. Get in front of potential regulatory issues and lower the chance of misunderstanding and miscommunication by educating borrowers throughout the mortgage process with clear, easy to understand videos. VidVerify uses comprehensive, consistent and compliant messaging, ensuring that all borrowers are presented with the same information. Streamline borrower communications through automated processes. Increase sales productivity and free up your loan officers to do what they do best – originate loans. VidVerify's reporting feature provides a valuable safety net in the form of an audit trail for lenders to show regulators in the event of an investigation or dispute. 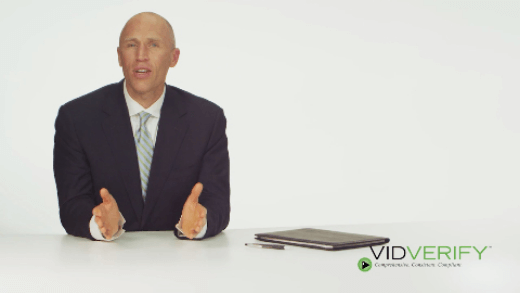 VidVerify’s brandable, pre-recorded video library is instantly delivered so customers receive comprehensive, consistent, compliant explanations of the loan process. 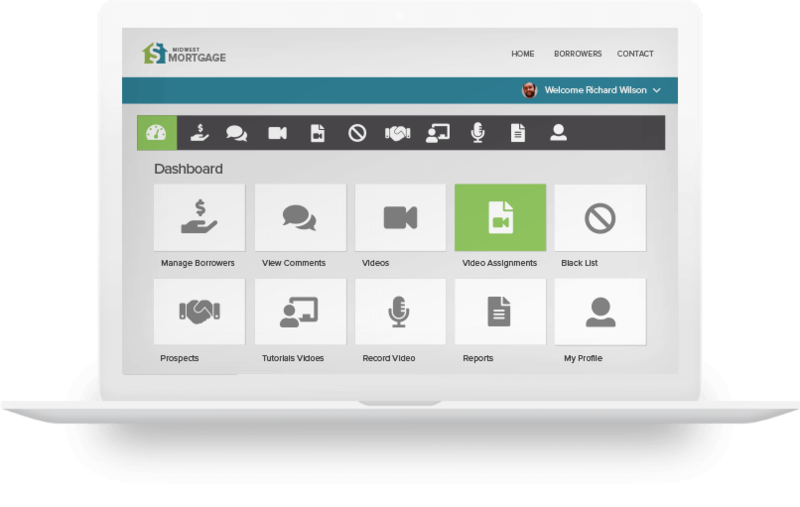 Lenders can also record their own message for a personal touch and share mortgage documents. Know that headquarters, branches and all affiliated employees are presenting consistent information to every borrower every time. All VidVerify video scripts are reviewed by Strategic Compliance Partners, a leader in mortgage compliance consulting, to ensure compliance with all Federal and State guidelines. Additionally, through our proprietary process, your compliance officer will be able to approve each video before they are enabled for distribution, making sure every message is on point. Loan officers and their teams can have accurate and comprehensive views of a customer including full contact details, customer history with the bank or a specific property, and interactions between borrowers and loan officers. It is easy to add new members, edit existing ones, import user lists, and integrate with existing systems. Even when outside the office or traveling, you and your borrowers can stay connected to the full capabilities of VidVerify Mortgage via your mobile device. Maintain anytime, anywhere connectivity to stay in touch with your borrowers. 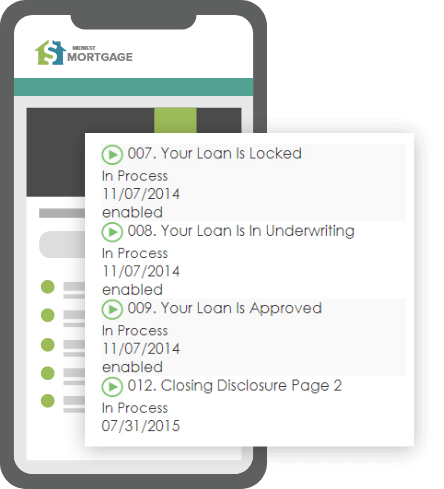 Continue to share content and milestone updates; preserve an ongoing customer interaction while speeding up the mortgage closing process. "This is a WONDERFUL way to explain the loan process to us lay people! Not that I wouldn't want to talk to Henry on the phone for hours and hours, but your videos really made everything very clear! Thanks so much!"